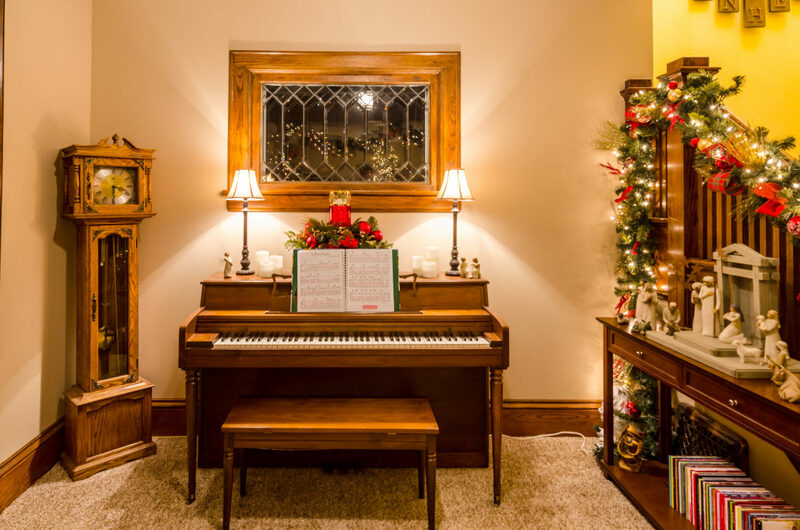 Marshall and Shelley Lovrien’s historical home combines classic features with an open floor plan to create a truly beautiful and inviting atmosphere that is perfect for entertaining. 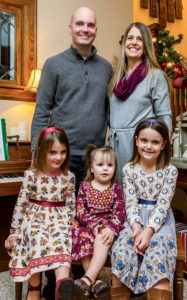 The Lovrien family, Marshall, Shelley, and daughters Leah (4), Isabelle (2), and Madeline (7). 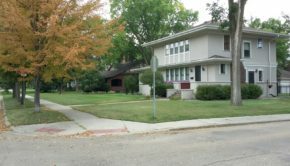 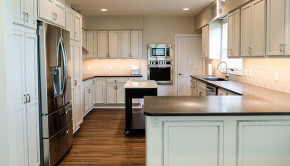 The couple, who lives in Aberdeen with their daughters, Madeline, Leah, and Isabelle, bought their house three years ago and did extensive remodeling to make it their own. 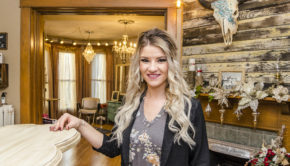 “We gutted basically the entire first floor, but still kept those original details that you can’t find anymore like the oak woodwork and leaded glass windows,” Marshall explains. 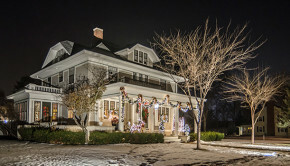 The house is over one hundred years old and has been in Marshall’s family since his childhood. 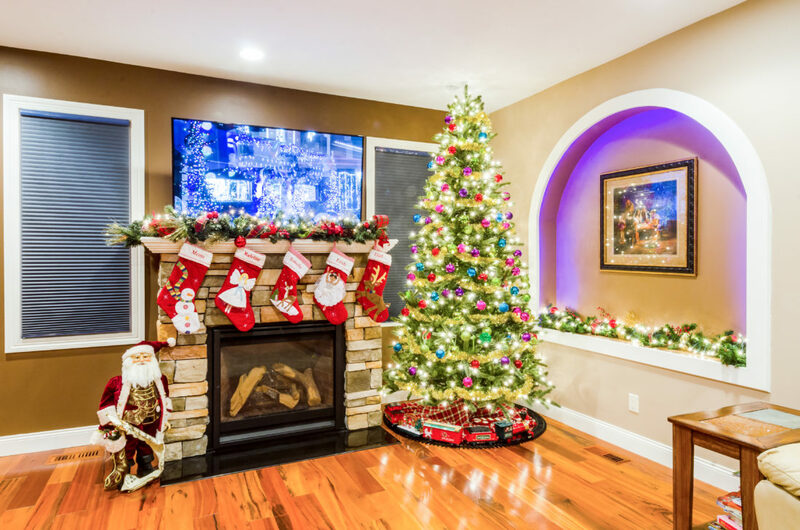 A big part of the remodel was designed around their favorite family traditions of decorating and hosting guests for the holidays. 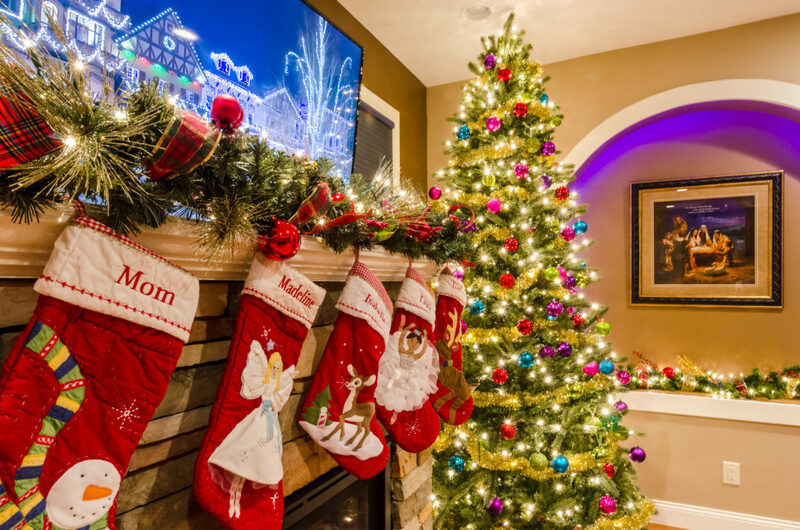 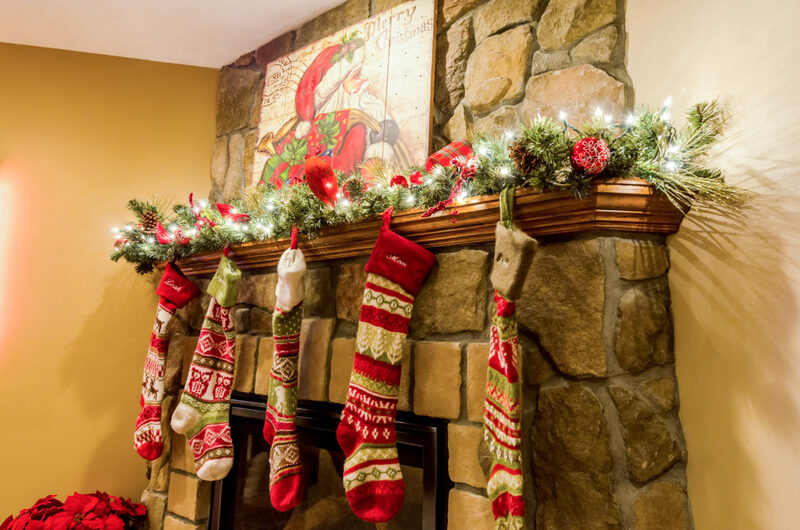 They added two fireplaces to the home and chose the mantel heights carefully to make sure they would be tall enough to accommodate their Christmas stockings. 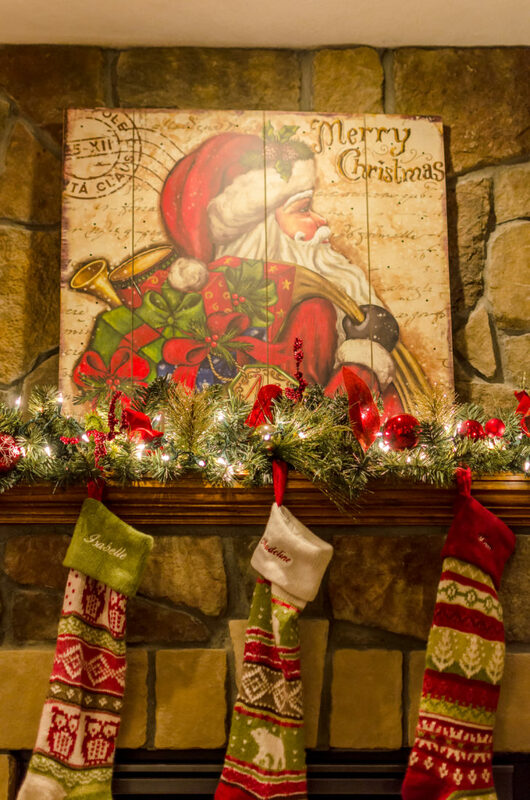 Each stocking has a member of the family’s name sewn on it and hangs from the mantel until they are filled with treats by Santa on Christmas morning. 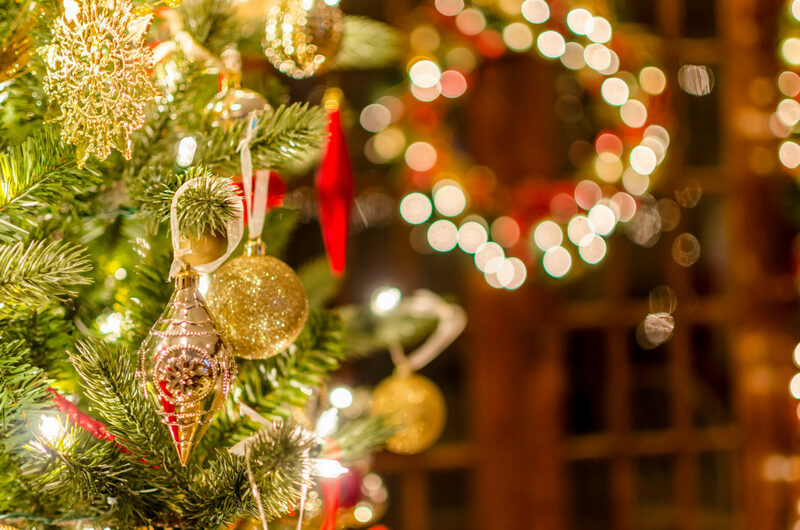 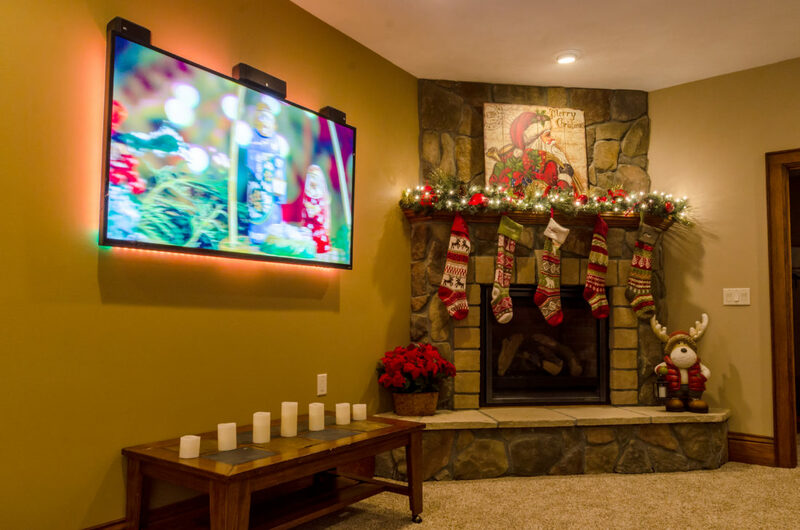 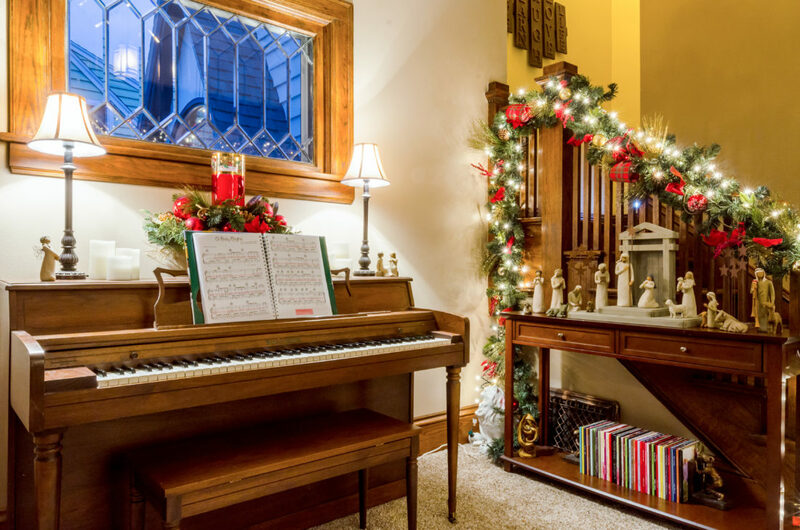 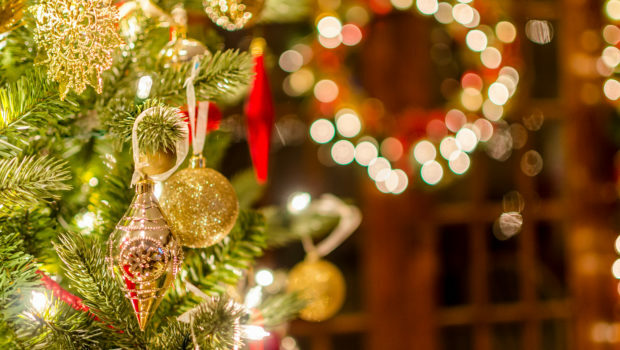 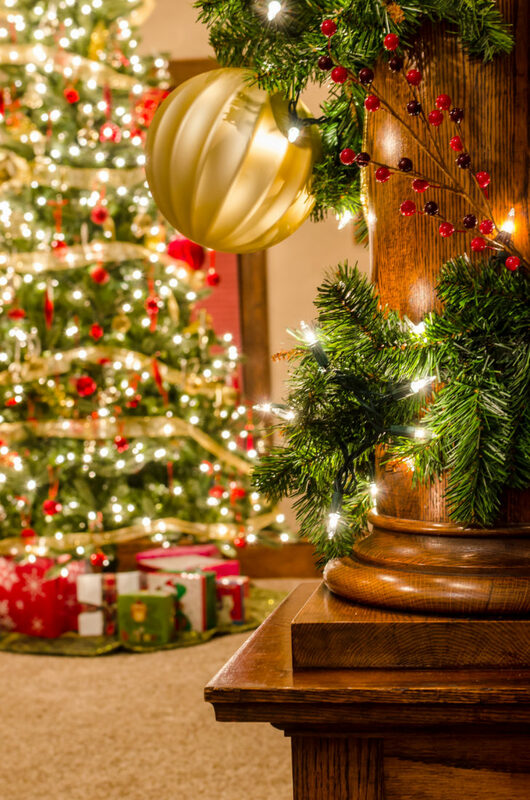 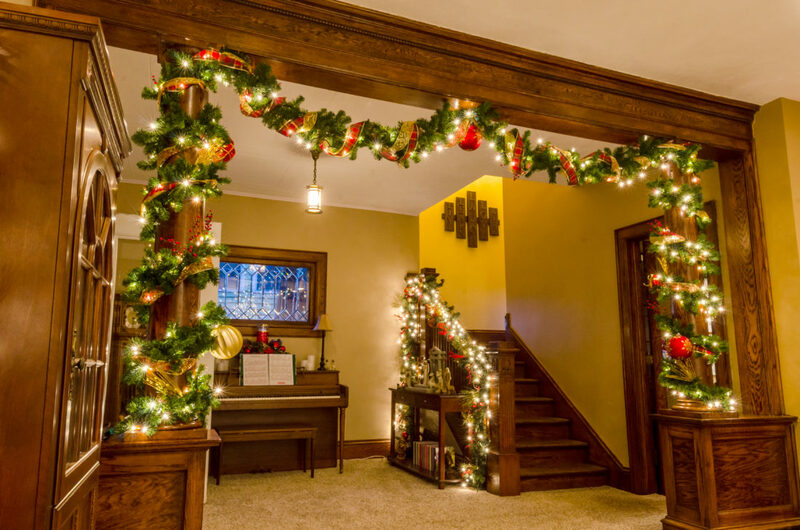 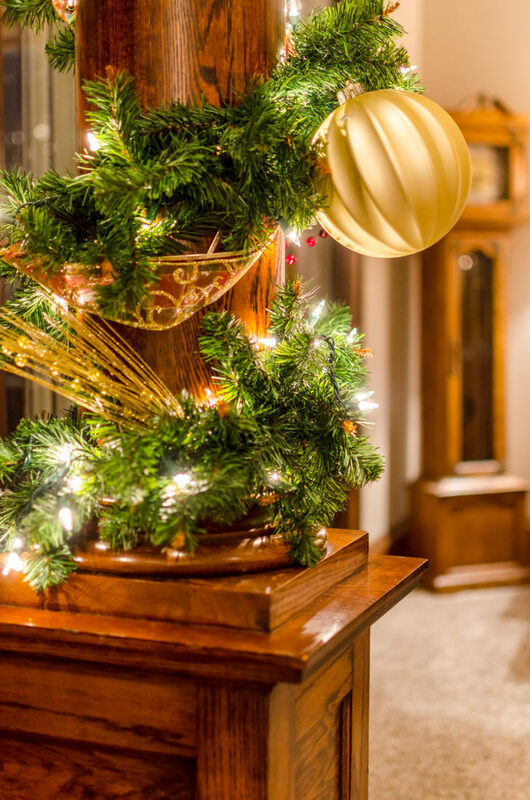 They also strategically placed outlets around the home in locations they knew would be perfect for plugging in their lighted garland strands and wreath. 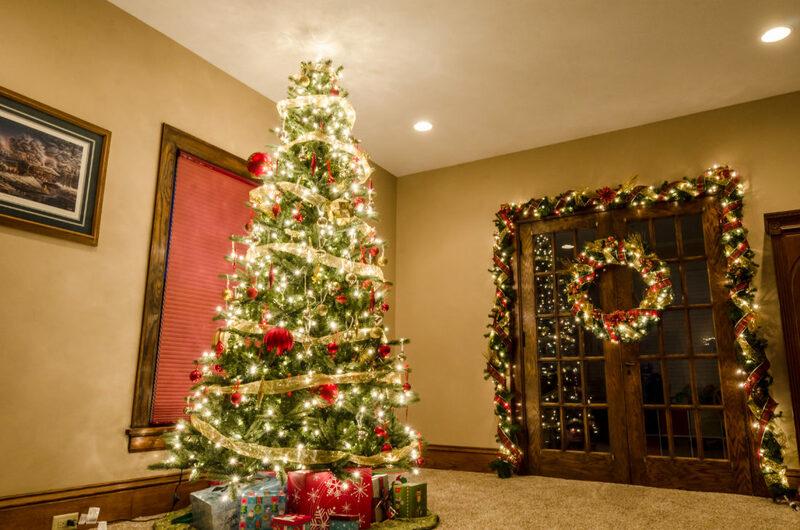 The ceilings on the main floor are just over 9 feet tall, perfect for fitting in their two 9 foot Christmas trees.